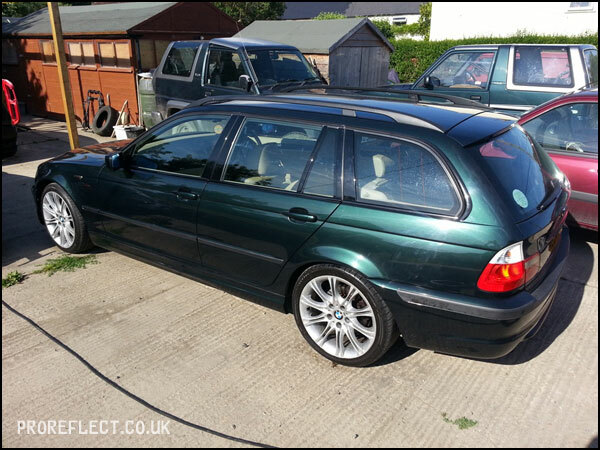 BMW 320D Touring M-Sport in Oxford Green 2 Metallic which I have to say is a lovely colour. 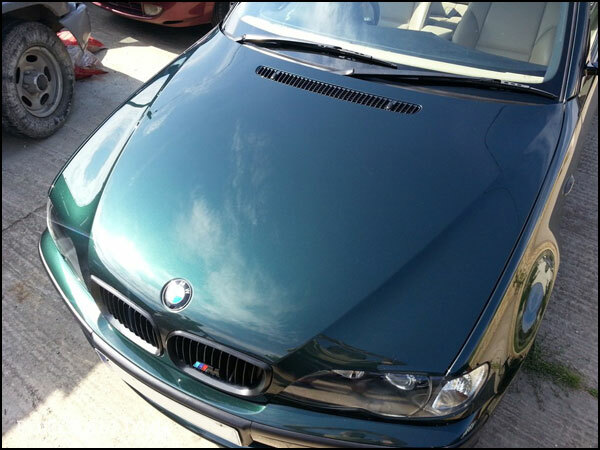 The build up of years of washing haze, clay marks etc was pretty bad and stole a lot of the gloss and metallic flake. 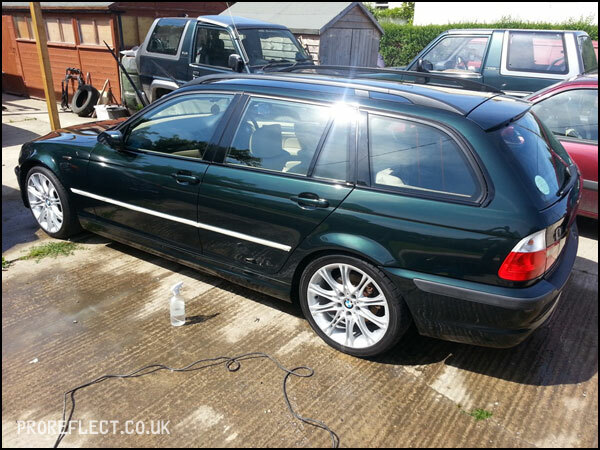 The usual safe wash took place first, together with the removal of a few tar spots that were present. Dodo Juice Lime Prime and a 3M Yellow Pad removed the haze and light holograms that were present on every panel. 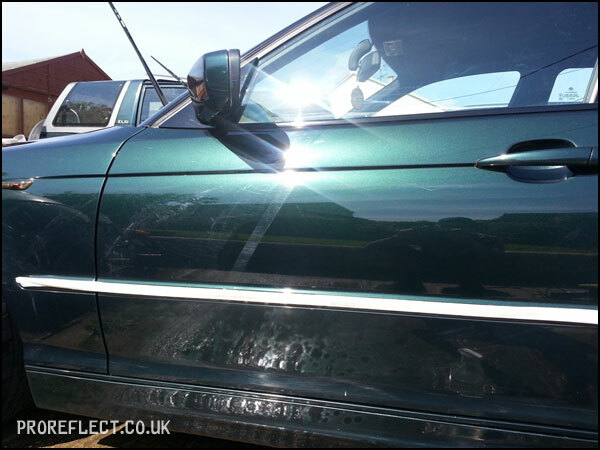 A wipe down with Filler Killer ensured no polishing oils and fingerprints were present before applying Dodo Juice Purple Haze Pro via machine. 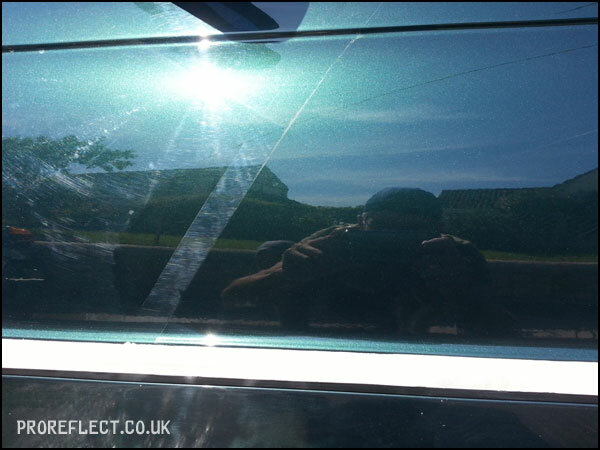 All plastics had faded over the years and these were rejuvenated by CarPro Dlux. 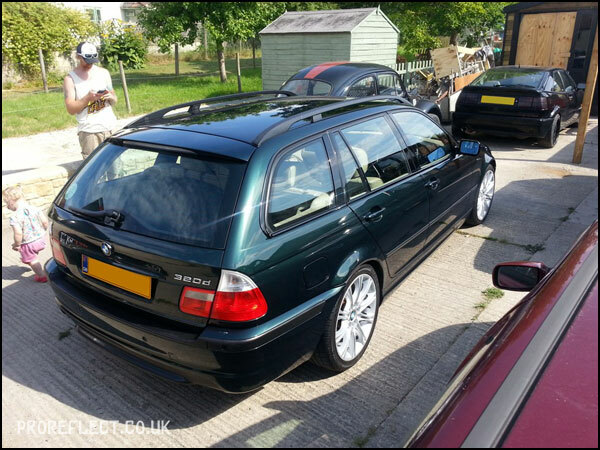 Quite a transformation from start to finish that left the BMW’s paintwork with more depth and gloss. Upon arrival – the sun capturing the thick haze at the rear of the car. 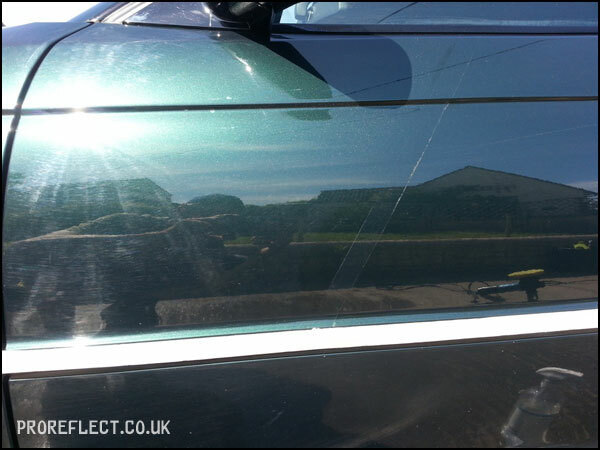 50/50 showing the glossy paintwork that had been hidden for so long. The passenger side complete awaiting wax application. 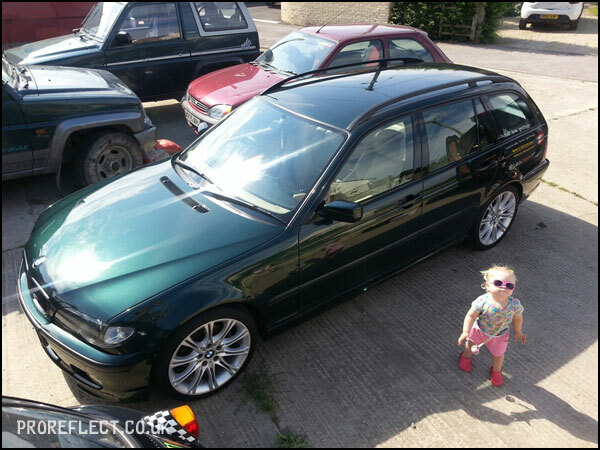 50/50 on the bonnet. Lime Prime removing the mess and leaving a better finish. 50/50 on the scuttle panel. Plastic first cleaned with IPA to ensure surface was clean and free from oils and dirt. 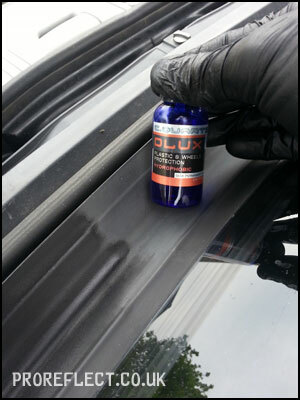 CarPro Dlux bringing the black back. After what seemed like a long very hot day, the finished results were worth all the hard work. 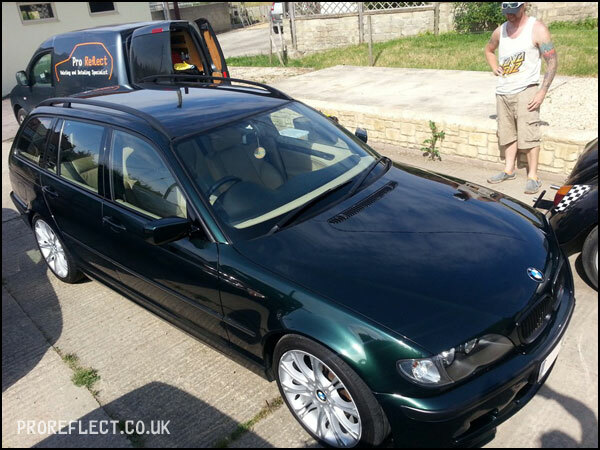 Dodo Juice Purple Haze Pro adding even more depth and gloss to the Oxford Green paintwork. 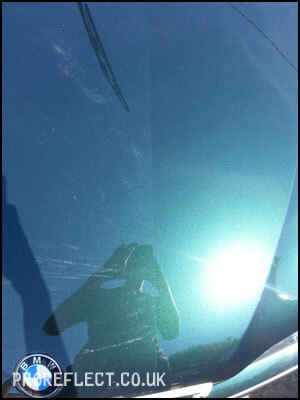 The bonnet now has reflections of the sky rather than the mess it had in the morning.